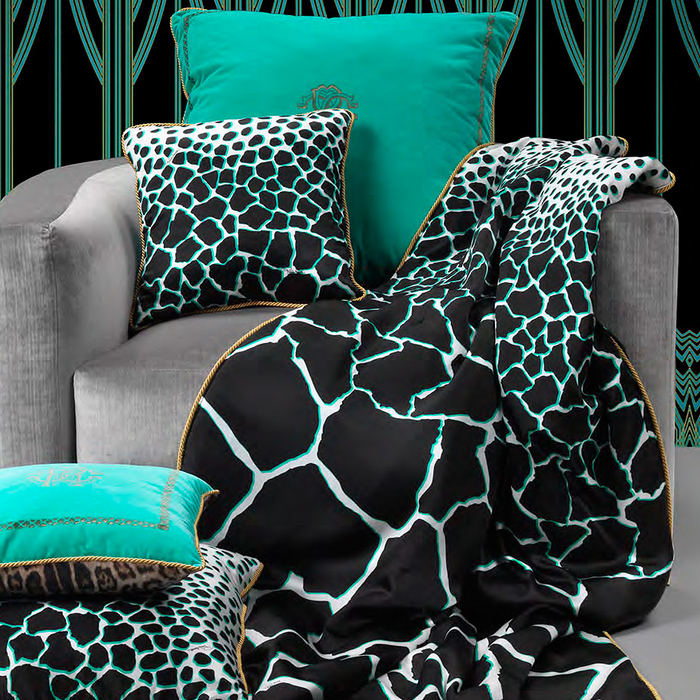 Transform your sleeping setting with this Jerapah duvet cover set from Roberto Cavalli. Simple yet captivating, patterned with a bold giraffe skin inspired design. 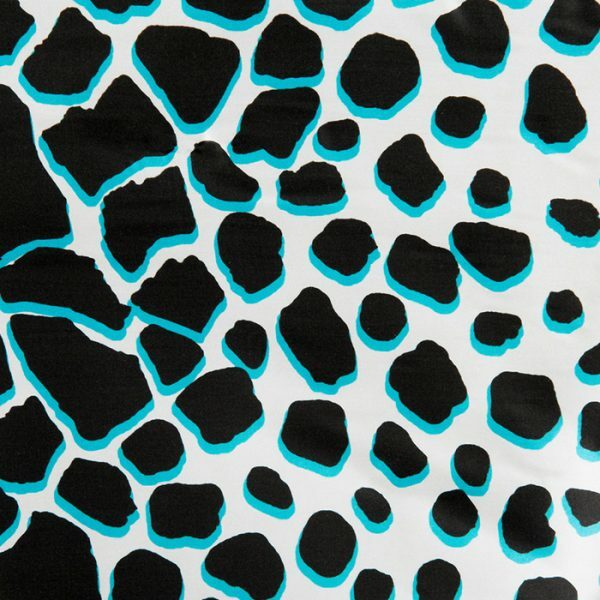 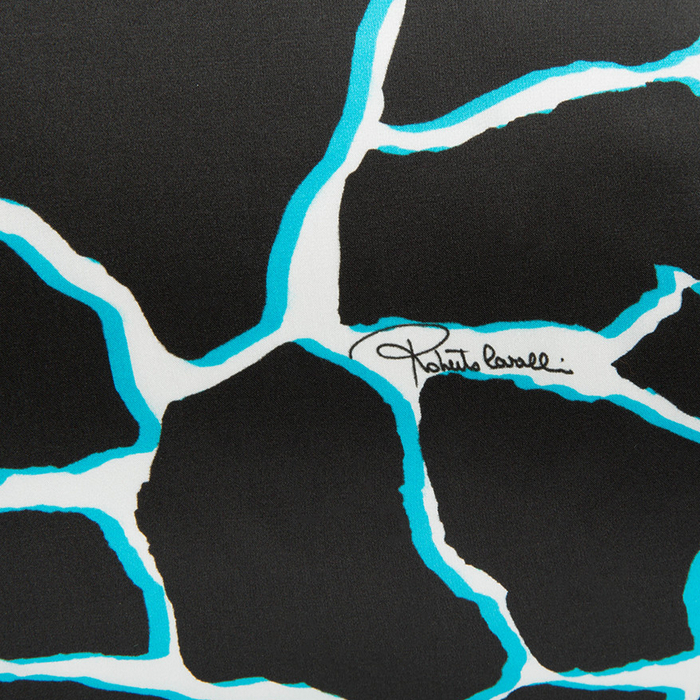 The duvet cover set is in black and white, with each black spot edged in turquoise. 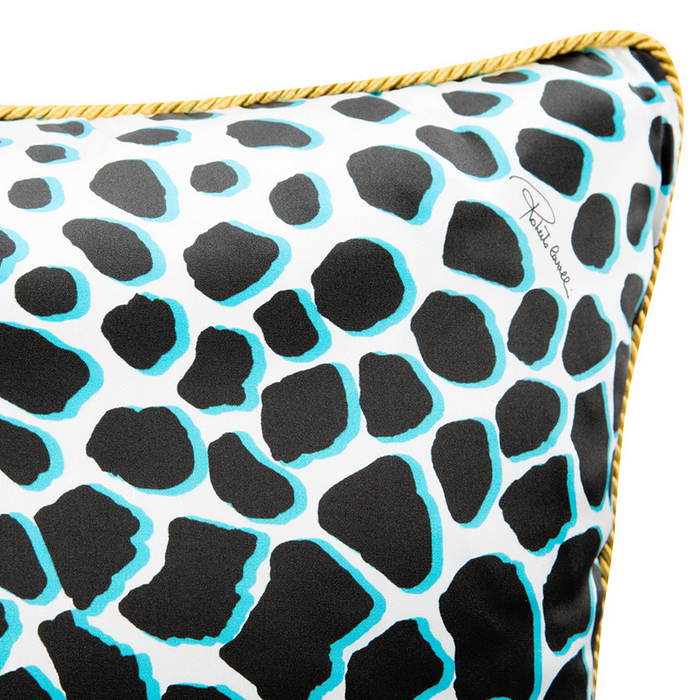 Jerapah duvet set showcases how clever Cavalli is with his colour combinations and design flair. 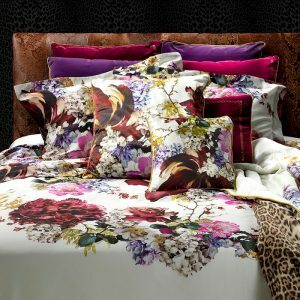 Made from delightfully soft 100% cotton sateen, it has a 300 thread count and the set includes a duvet cover, flat sheet and two pillowcases. 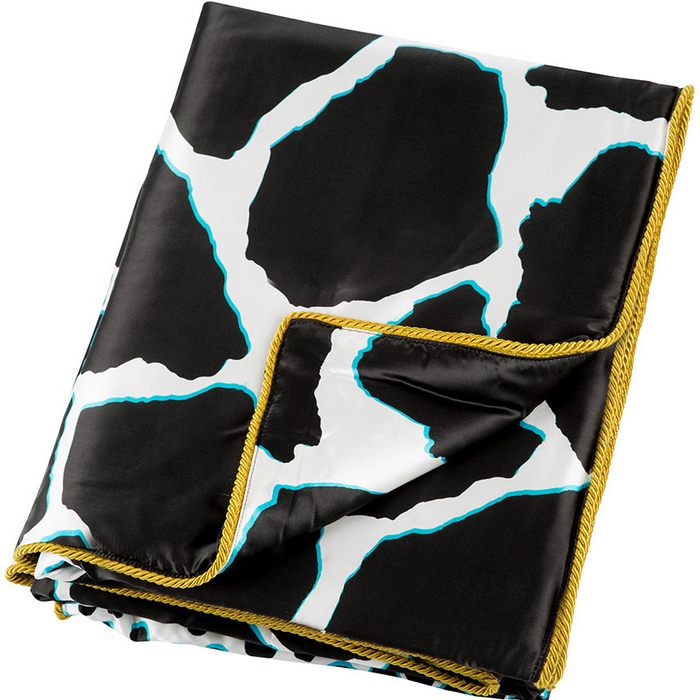 Add the perfect finishing touch to a luxurious bedroom with this Jerapha throw from Roberto Cavalli. 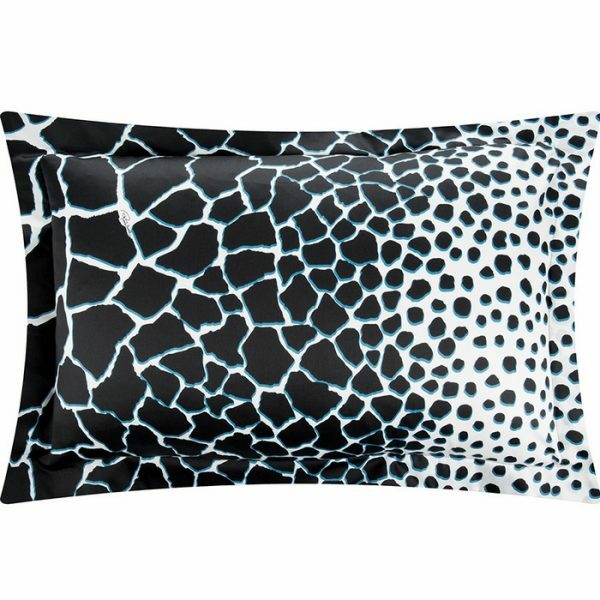 Made from sublimely soft 100% silk, this throw is patterned with a giraffe skin print in chic black and white. 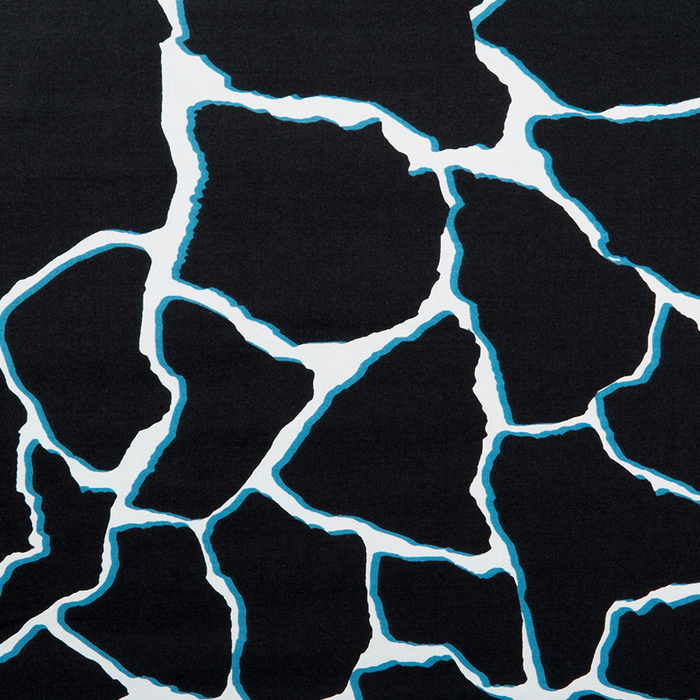 With each black spot edged in vibrant turquoise for an added touch of drama, it has been edged in golden rope piping and is the perfect complement to the Jerapha duvet cover set. 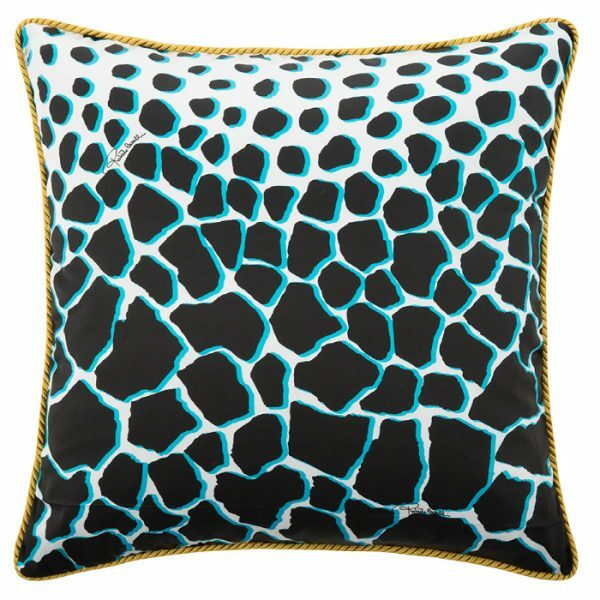 Add the perfect finishing touch to a luxurious bedroom with this Jerapha bed cushion from Roberto Cavalli.